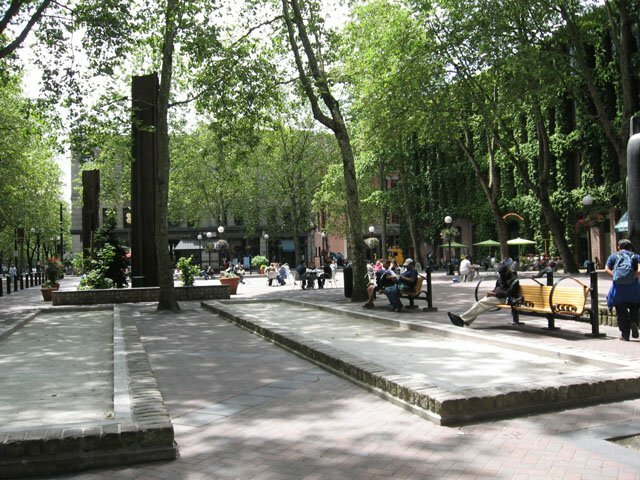 Beginning in 1991, PPS has been involved in the process to convert Seattle’s Occidental Square back into a vibrant destination. Occidental Square is centrally located in Pioneer Square, Seattle’s oldest neighborhood and commercial district, which thrived during the gold rushes of the 1800s. After World War I, the area suffered from disinvestment and abandonment. Long a victim of underuse, Occidental Square is now making a strong comeback. 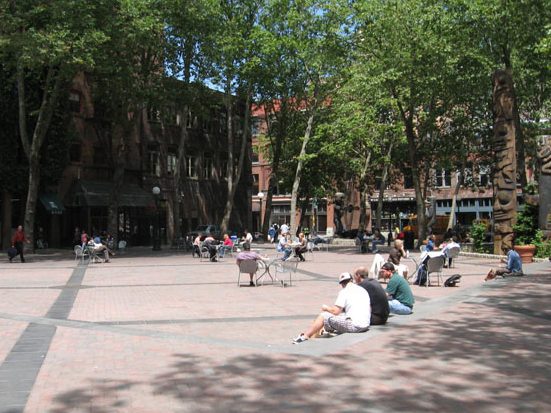 In 2004, PPS worked with the local community to assess Occidental Square and develop strategies for improvement. The planning process included surveys, observations, and interviews of square users and groups with responsibility for the square. Community meetings were held to develop consensus on park problems and ideas for changes. Specific problems identified by community members included a lack of amenities, attractions, and information in the square, little interaction with the surrounding buildings and businesses, and a perception of the square as a dark and unsafe space. Many of these issues had also been raised in 1991 during PPS’ earlier assessment. 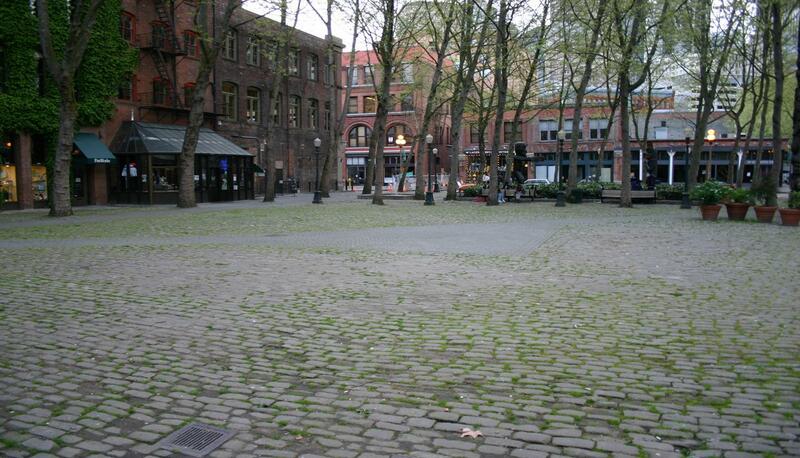 Eager to realize the Mayor’s vision of Occidental Square as the “square,” or central focus, in the Pioneer Square neighborhood, city officials acted quickly upon PPS’ recommendations to implement a series of experiments in the square over the summer of 2004. From small additions like chess and other games to large productions like outdoor movies and musical performances, the huge variety of experiments helped officials see which times of day and which activities were most effective. Building on the success of these experimental activities, more of PPS’ recommendations were implemented. Several trees were removed from the square to increase sunlight, enhance visual sightlines, and provide open space for performances and events. Other renovations included the installation of bocce-ball courts, a performance space, and new globe lighting. In 2007, a new kiosk was constructed with commercial space and restroom facilities. 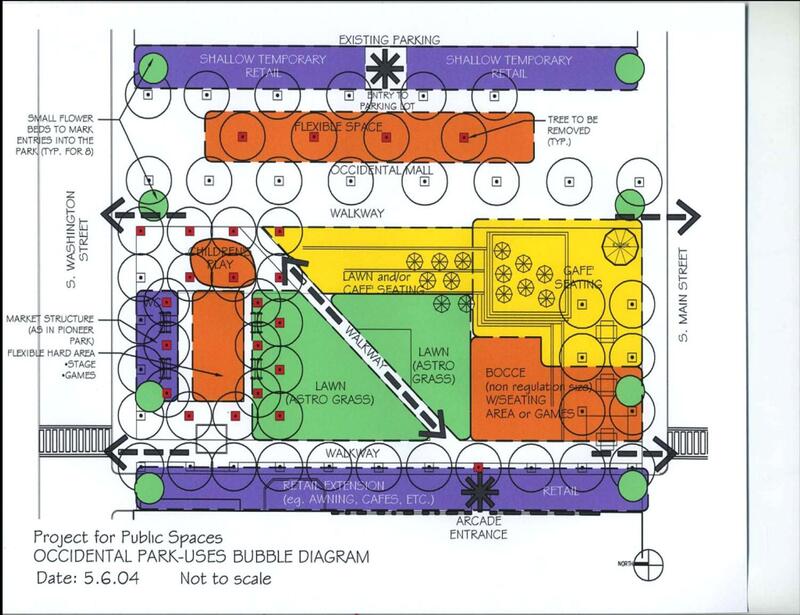 PPS' bubble design for Occidental Square. New bocce-ball courts (credit: Dan Gonsiorowski).